I spotted this cutie the other day while shooting street style at the LAB Anti-Mall in Costa Mesa. I HIGHLY suggest you check out the Anti-Mall the next time your in the area, it’s funky, fun and full of awesome fashion. 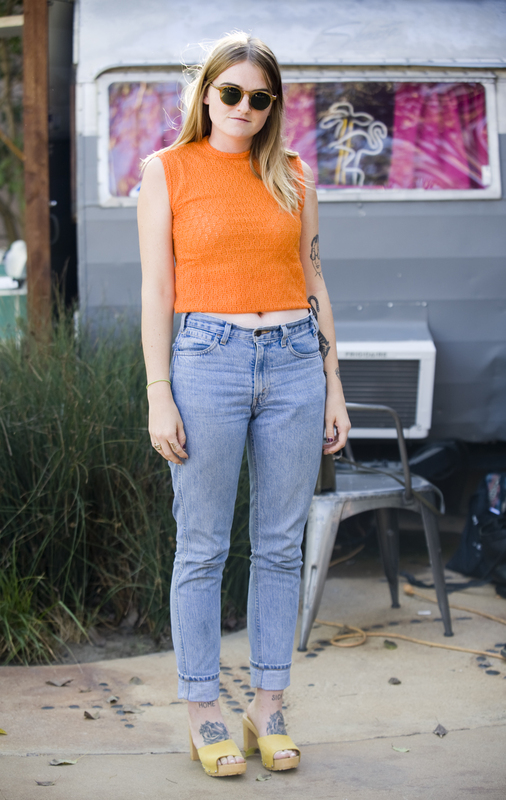 Carissa Reeve, 22, wears round Moscot sunglasses, yellow Candie’s platform clogs and a vintage orange crop top at the LAB Anti Mall.